The Palatinate Stand Up Collar Leather shirt is for the urban woman who dares to be different and knows how to do it with flair! The double pockets at the breast are smart and bold. 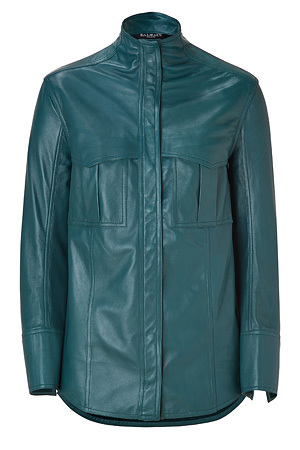 The snap closure which conceals the buttons adds a cold, sleek look to the soft leather. The smart cut is an ideal fit in a corporate environment, while the trendy but subtle seams make it a perfect asset for an evening party. Put on the Palatinate to make an unforgettable impression at every occasion.